RIA owners may be feeling optimistic following years of record revenues and profits —and that’s exactly why they should consider selling at least part of their firms, Fidelity executives said recently, according to FA magazine. Combined with good growth rates, RIAs are also experiencing healthy levels of client satisfaction — and that may cause their owners to put off thinking about exiting the business, Scott Slater, Fidelity’s vice president of practice management and consulting, said at the firm’s recent conference in New York, the publication writes. Nonetheless, RIA owners should at least engage in a process that would prepare them for a sale, he said. For one, there are many acquirers looking for RIAs with diversified teams and steady growth, according to Slater. Their offers vary, but acquirers such as CAPTRUST, HighTower, Kestra, Carson Group, United Capital, BeaconPointe and Mariner Financial stand out with the most interesting offers, he said. Meanwhile, Focus Financial’s cash reserves following its initial public offering put it in a position to offer lucrative deals, the publication writes. 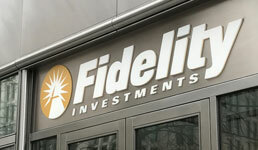 In addition, the American economy and the financial markets appear to be at a high point, suggesting that selling the business now may be a good idea, said David Canter, executive vice president heading Fidelity’s custodian business, according to FA magazine. Fidelity research suggests advisors and clients expect a correction in the next six to 24 months and are more pessimistic about continued equity returns, he said, according to the publication. When estimating how much a sale could bring in, RIA owners need to understand that size matters, FA magazine writes. Firms managing less than $250 million can expect to get offers of between five and seven times earnings before interest and taxes, plus depreciation and amortization. Those firms with between $500 million and $2 billion can expect a multiplier of between six and nine. And those with more than $2 billion in assets can fetch up to 12 times EBITDA, Slater said, according to the publication. But buyers may also look at other factors. For example, a younger clientele may justify a higher multiplier, FA magazine writes. On the other hand, firms with outdated technology may expect to attract smaller offers, because buyers would need to make further technology investments, Slater said.